And so the rumor surfaces today that the Yu Darvish race is finally over, and that the Cubs, the lowly woebegone Cubs, are, for once, victorious. . The MLB Cubs website says 6 years, $126 million, and a new ultra-high-definition 1000-inch TV for his palatial locker. The Twins have saved a whole lot of money. The Twins are now able to spend heavily on ten or fifteen 36-year-old former major league pitchers who think that maybe they’ve till got one more season to play. 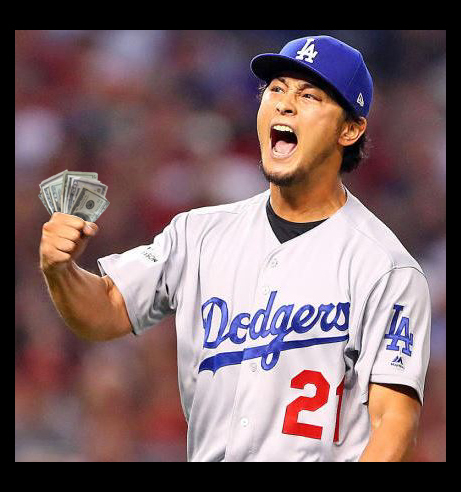 Money that would have been spent on Yu Darvish-based promotions: saved! He’s in the National League, where he’ll probably do very well, as they have pitchers batting in that league about 10% of the time. And so we won’t have to play against him very much. We won’t be forced to watch an ancient 36-year-old Yu Darvish laboring through the last years of his fat contract. Nor will we have to worry all the time about his most valuable arm being healthy. Seriously, the Chicago Cubs have won the booby prize here. How many pitchers with huge free-agent contracts ever win, say… 18 games in a season? I ask you. Well, let’s look at a few of the top contracts for pitchers. There. Aren’t we fortunate that we didn’t waste our money on any of these guys? I recently finished reading Memories of Summer, by Roger Kahn, and enjoyed it quite a lot. Kahn’s book is a memoir, and roughly the first third of the book tells of growing up in Brooklyn, going to Ebbets field with his father, playing ball and going to school and discovering that he wants to be a writer. His father happens to know the city editor of the New York Herald Tribune, and this gets 19-year-old Roger an interview and a job as a copy boy in 1946. I particularly enjoyed this part of the book, stories of how Roger learned about newspapers and sports writing from some of the greats, such as Red Smith and Heywood Broun. In 1950 he became a copyreader in the sports department ($48/week; do they still have copyreaders? ), and soon after that he was out on general sports assignments, covering everything except major league baseball. (They wanted their baseball writer to be older than the players, and I suppose that’s a good general rule of thumb.) But just two years later, at the wise old age of 24, Kahn gets dispatched to Florida to cover the Brooklyn Dodgers spring training. Those were different times, obviously, but I think this speaks to Kahn’s ability as a writer, that they thought he was ready. His first year covering the Dodgers they win the National League pennant, and (no dilly-dallying in those day, no 8 rounds of playoff games) they play the lordly New York Yankees in the World Series, and Kahn covers this experience closely in the book, and brings home the drama and personalities in the story. And there are quite a few personalities involved: Jackie Robinson, Casey Stengel, Pee Wee Reese, Mickey Mantle, Roy Campanella, Allie Reynolds. The Yankees win it in 7 games, a hard fought, well-played series. After the game, (and about a million years ago,) a reporter asked Mantle about his off season plans. “Yes, I do,” Mantle said. “You know my dad died, and I got seven dependents who’re counting on me.” Mantle named three brothers, a sister, his mother, and his wife. The second part of the book traces Kahn’s career after he leaves the newspaper, and features some chapters that focus on some individual players, Mickey Mantle and Willie Mays in particular. These are thoughtful and personal character studies; Kahn tells us a lot about these legends, in a subtle and natural way. 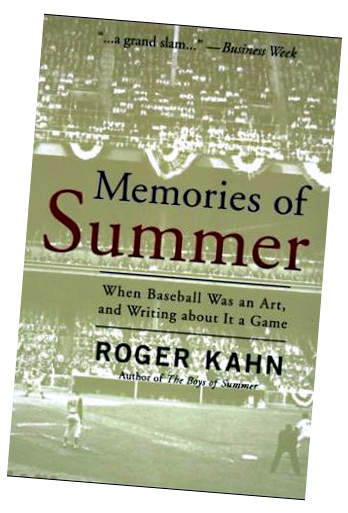 Many of you baseball fans out there are familiar with Kahn’s other huge best-seller, The Boys of Summer. That seems like it was written a hundred years ago now, (published 1972, so, really, only 45 years ago) and it is well worth re-reading. Kahn brings the same care and skill to this book, and leaves me wanting more. And so I’m planning on tracking down another Kahn book, The Era, 1947-1957: When the Yankees, the Giants, and the Dodgers Ruled the World. Nice to note that Roger is still with us, 89 years old, and I hope writing another book. Is it rational to believe in the Cubs, or in any religious faith? If and when everyone is cheating, is it still cheating? Does a team have an ethical responsibility to play ball? Is the intentional walk unethical? Yes. Serious, thought-provoking questions indeed, and I’m sure questions that all of us baseball fans have considered at some time, if only subconsciously. Despite these hard-hitting questions, the book in the past just didn’t resonate with me, for some reason. 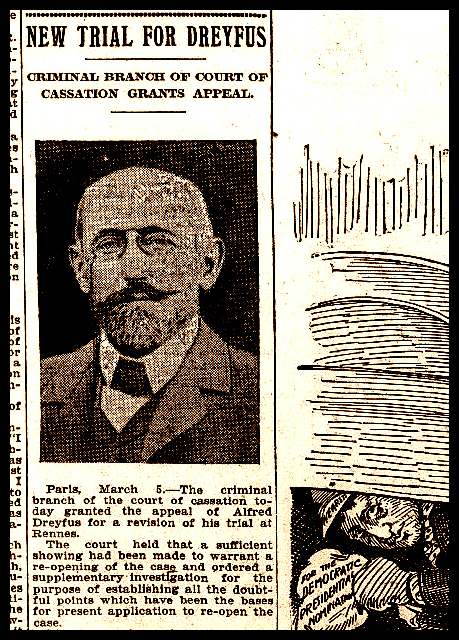 Despite the fact that the first article in the bottom of the first hit very close to home, a piece called “Minnesota’s ‘Homer Hanky Jurisprudence:’ Contraction, Ethics, and the Twins,” by Paul Horan and Jason Solomon. This is where I always got hung up – perhaps because the top of the first — “There’s No Place Like Home!” by Joe Kraus — also did not capture my attention so much, and, well, sometimes it’s two strikes and you’re out. 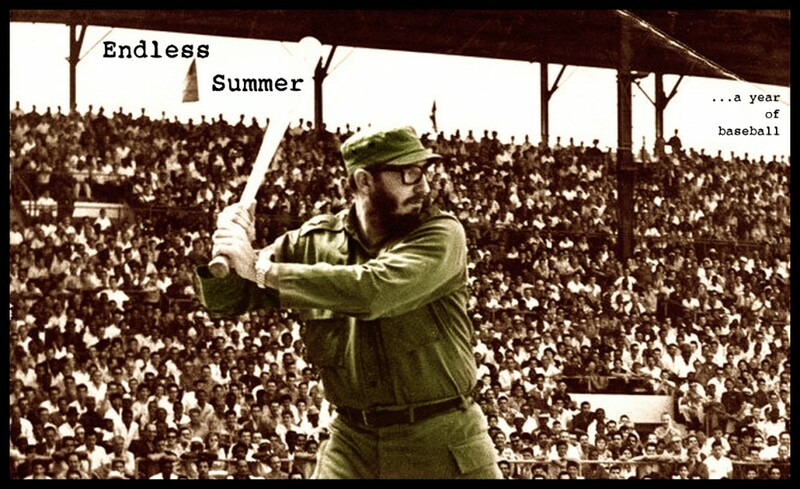 However, this being spring, fresh starts, new beginnings, I gave it another chance, and this time I steadily made my way through all nine innings and then the post game “press conference” pieces. This time I generally enjoyed the book — though with any collection of essays you’re going to find some you regret and some that shine. 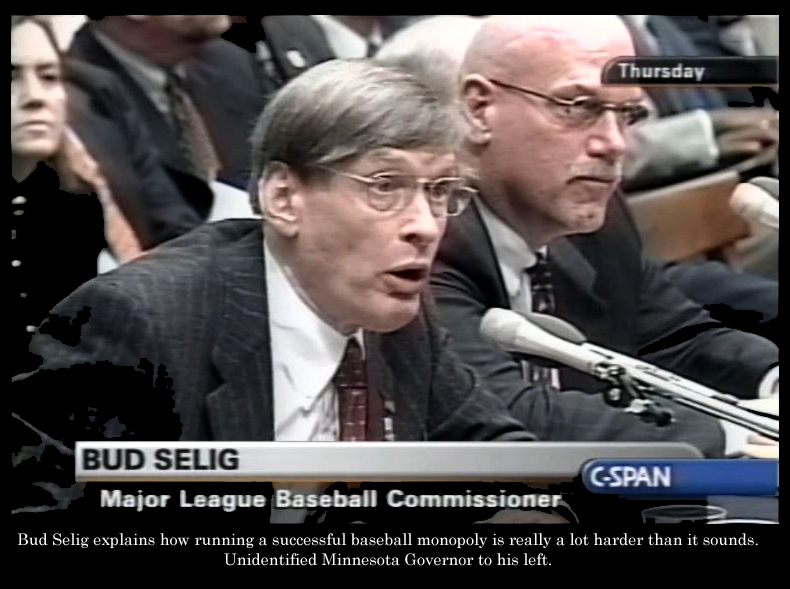 This time, for some reason, I found the bottom of the first to be of more interest, as the authors discussed the legal and ethical issues raised by the foul, nefarious, dastardly and underhanded attempt of Major League Baseball, Baseball Commissioner Bud Selig, and, it must be said, even the Twins’ kindly owner, Carl Pohlad, to contract the Major Leagues and erase the Twins and the Montreal Expos from the roster of Major League teams. As some of you may recall, in late 2001, the owners voted 28-2 to eliminate two teams from the major leagues. (I’m not sure who the two nay-sayers were, but I imagine them to be, for appearance sake, the owner of the Expos and also Carl Pohlad.) 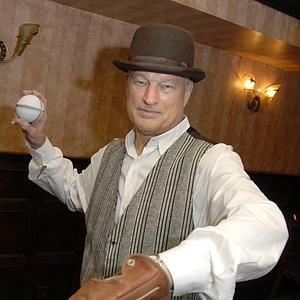 “The teams to be contracted have a long record of failing to generate enough revenues to operate a viable major league franchise,” sayeth Mr. Selig. This, naturally, created something of a stir. 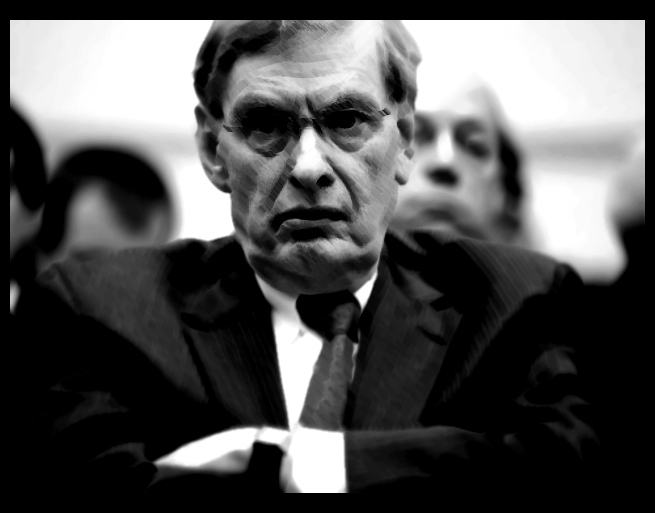 A lot of pointed questions were asked, and, in fact, in December of 2001, Commissioner Selig appeared before the House Judiciary Committee, where he attempted to weasel his way out of some of these pointed questions. League financial data was turned over to the committee, which revealed, according to Mr. Selig, that Major League Baseball was in Terrible Financial Shape, and that 25 of the 30 major league teams lost money the previous year. 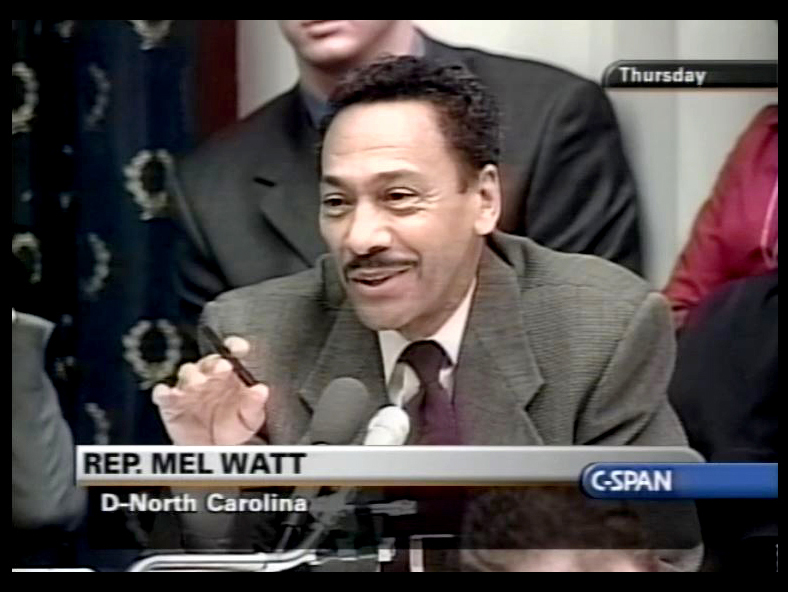 Congressman Mel Watt of North Carolina raised the point that it sounded like most of the teams were failing to generate enough revenues to operate viable major league franchises, and then asked how contracting just two of the teams would fix baseball’s large systemic problems. 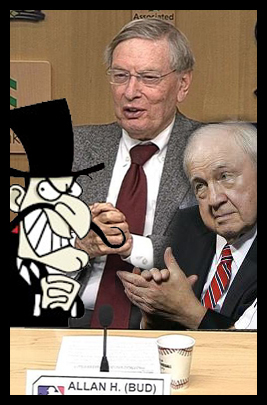 As the hearings went on the talk turned frequently to the generous tax subsidies given to baseball, and to their anti-trust exemption, and, well, things became increasingly awkward for Snidely B. Selig. Major League Baseball (Mr. Selig) was essentially arguing that this contraction thing was just a simple business decision, an accounting problem, a question of income and outrun. 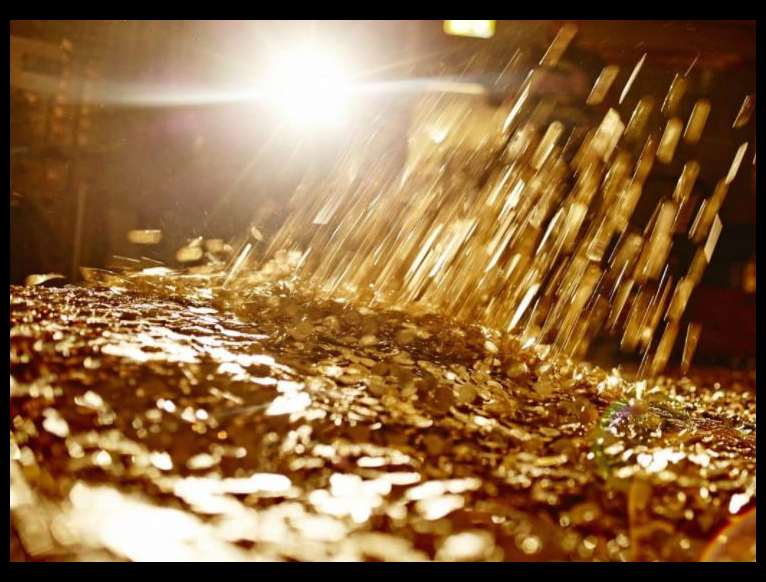 Sound financial management by the guardians of our national pastime. Minnesota Superior Court Judge Harry Seymour Crump looked at things a little differently, however, and on November 16 Judge Crump issued an injunction that ordered the Twins to stay in Minnesota for 2002, saying basically that this was not just a dollars and cents issue, and that the citizens of Minnesota would suffer irreparable harm if the Twins did not play their 2002 season in Minnesota. Judge Crump, according to the authors, picked up on baseball’s unique position in the law, which rests in part upon a utilitarian notion of the public good. Baseball, and the Twins, provide intangible assets to the community that no monetary damages can possibly recompense. In a particularly low point for team public relations, the Twins and Major League Baseball appealed the decision, and the essay points out the awkward position they found themselves in. After years of claiming a special legal standing and status, they were now claiming, oh, hey, we’re just a business, just like everybody else… except for our anti-trust exemption. Other than that, just like anybody else. Business as usual. Nothing going on here. We aren’t so special, really. Uh, well, in some ways we are, but here, no, not in this case. You see? All in all, I found this to be a nice little article about baseball’s odd position in the law and it’s requisite responsibilities. 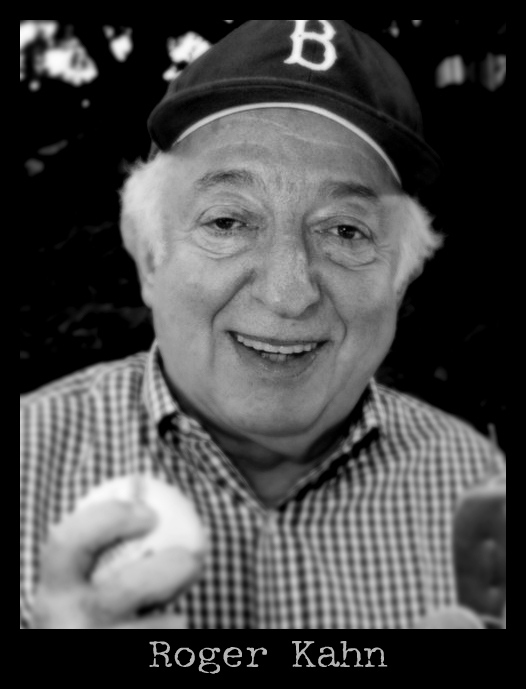 The best article in the book was written by Professor Ted “The Panther” Cohen, of the University of Chicago, “There Are No Ties at First Base.” This seemed the most personal and heartfelt essay in the book, and it was also the funniest. It was a perfect remark. It was generous and also fair. It was paternal but not patronizing. It satisfied all the children: the batting team was given a runner at first, the fielding team was given respect. The other adult was silenced. The older children were in awe. I was trembling with a sense of moral triumph. I can remember nothing else from that game. 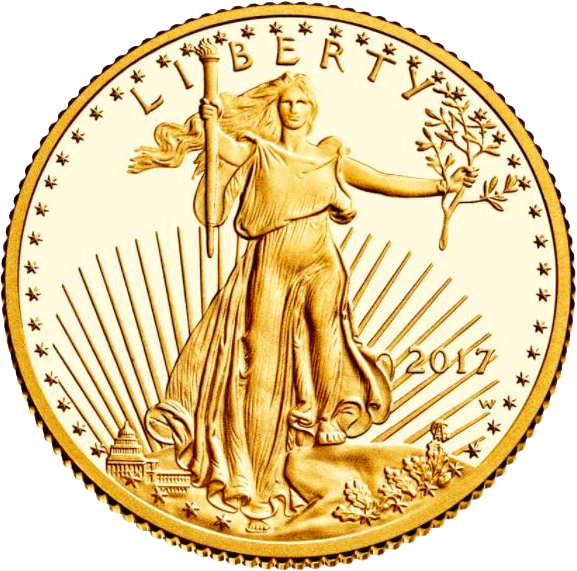 A batter is out when after a third strike or after he hits a fair ball, he or first base is tagged before he touches first base. Any runner is out when he fails to reach the next base before a fielder tags him or the base, after he has been forced to advance by reason of the batter becoming a runner. 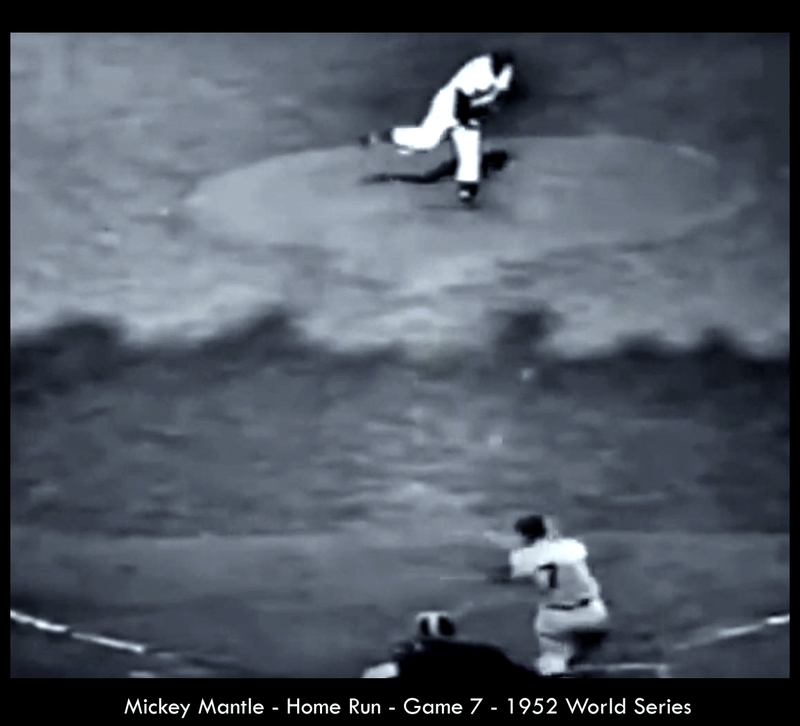 In the first instance, the ball/tag has to beat the runner. Tie goes to the runner. In the second instance, the runner has to reach the base before the tag. Tie goes to the tag! Cohen, naturally, finds this troubling. “With all that charm, and with their natural appeal to my philosophical sensibility, the rules had won me over. Now I found them wanting at their core. Well, I’m not going to tell you how this all works out. Perhaps the title gives you a clue. But it was a delightful read, and I learned later that it won a Pushcart Prize in 1991. 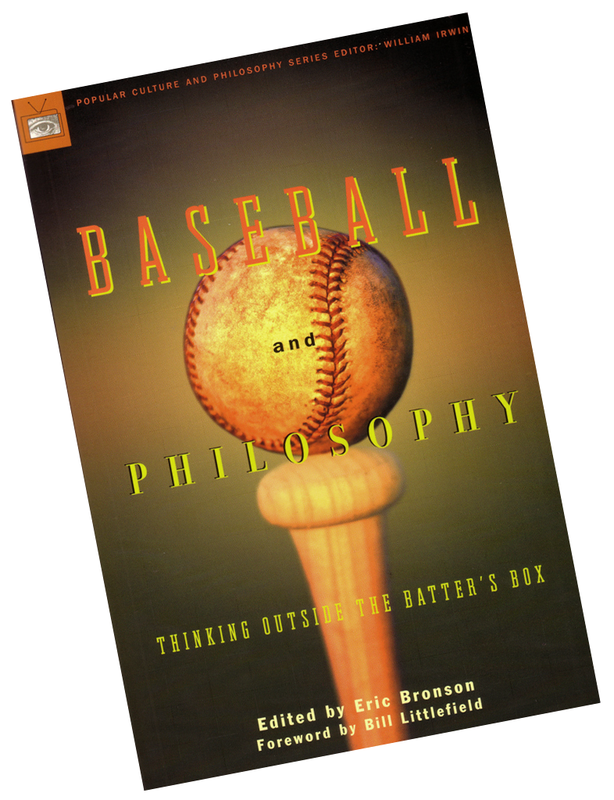 All in all, this was a worthy little book of baseball, if not of philosophy. Sometimes it was a bit difficult for me to catch the philosophical nuances. Sometimes it seemed like they were stretching a bit. The articles on the Zen of Hitting and Japanese baseball were pretty interesting, as was the article on Baseball, Cheating, and Tradition. Some of the Press Conference pieces at the end seemed a bit cursory. 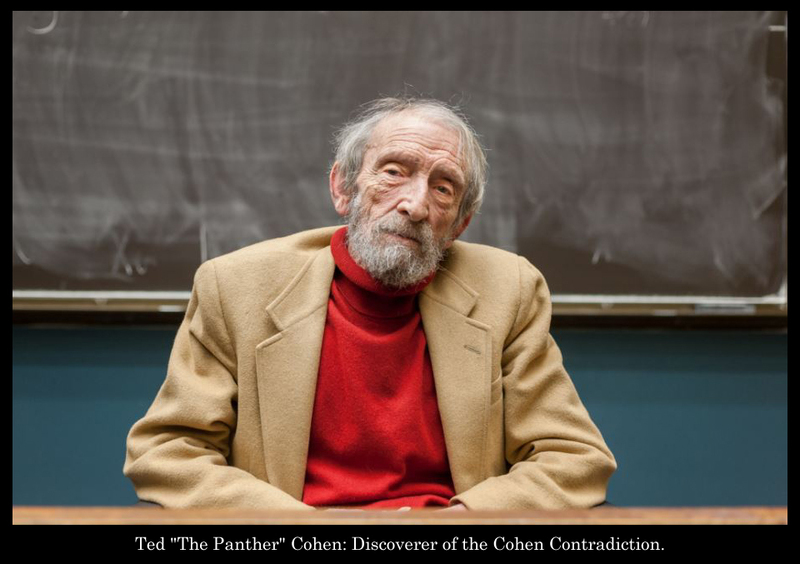 Ted “The Panther” Cohen passed away in 2014, at age 74. Good game, Panther. So the Twins have finally taken my advice — or at least the most expensive part of it – and signed Ervin Santana to pitch for them next year. With Danny Santana at shortstop (or center field,) we are only one short, easy, inexpensive step away from seeing Los Tres Santanas. And the last I heard (an internet search mere seconds ago) The Original Johan is still out there, a free agent, ripe for the plucking. Is Every Day Eddie Guardado available? How about Senor Smoke, Juan Beranguer? Who’d you rather see at first base this year, Justin (.319) Morneau or Joe Mauer? Put Trevor Plouffe back in the outfield? Ahhhhh. 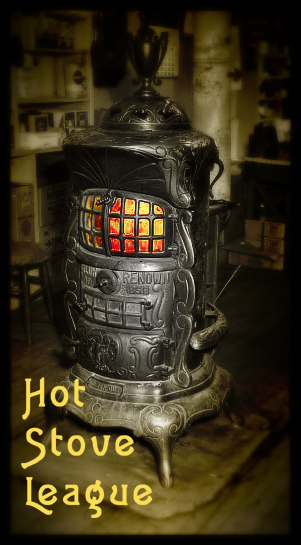 Hot stove league. The snow is blowing out there, but in here there’s a little taste of summer going on. You couldn’t say that I’m “plowing through” the baseball books. No. There is remarkably little time in life right now for reading right now. 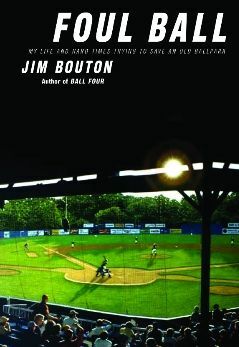 Yet I continue to plug away at them in a desultory fashion, and now I have just finished Foul Ball – My life and hard times trying to save an old ballpark, by Jim Bouton, of course. The powers that be in Pittsfield want to tear down old Wahconah park and build a new ballpark. 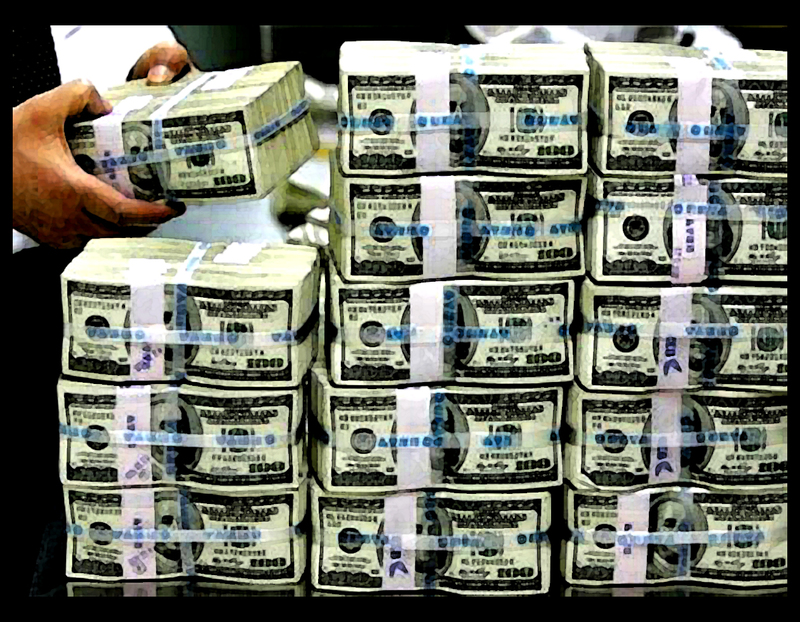 That’s where the money is. 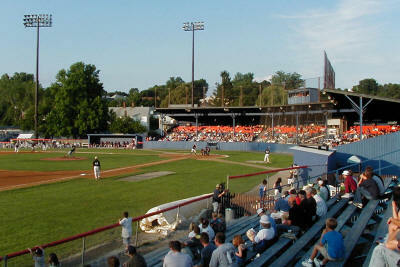 The people of Pittsfield don’t want a new ball park, want to save the old ball park. Bouton and his partners, Chip Elitzer and Eric Margenau, love the old Waconah park, and come up with a plan to save it. It takes them awhile to realize that the powers that be have no interest in “saving” the ball park, and no interest in working with anyone wanting to save the old ballpark – no matter what the public thinks or how much popular support there is for saving the old park. Bouton’s wry commentary does highlight some of the inherent humor in the situation – the local politicians twist and turn like eels, never saying what they think and rarely meaning what they say. Bouton and his compadres are frequently flummoxed — how can something that seems so right and proper and good be so scorned by those in power? How low will they go to sabotage the new plan? Who’s calling the shots in Pittsfield? In the end it’s kind of a sad story. While the ball park does not get torn down, the Bouton group does not get to work their plan. There’s petty small town politics and big city greed, corporate power and just plain stupidity. It kind of brings a guy down. Bouton comes out of the experience sadder but wiser, as they say – awakened to some sad facts about Pittsfield and about life in America, it would seem. Because the fix is in, it seems. And everybody’s just going to have to live with it. Ahh, well; let’s not end on a down note. Keep pitchin’ ’em in there. Now here’s something you don’t see much of anymore. 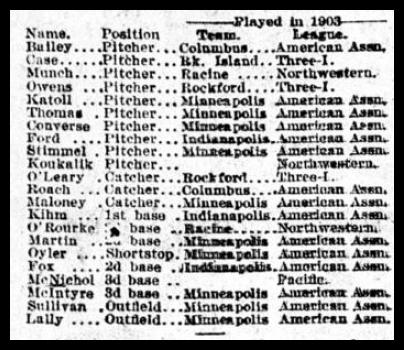 From the 8 March 1904 Minneapolis Journal. I note that they don’t expect him to be sober, necessarily. In a small blurb in the Saturday evening paper, President Watkins says he’ll be happy to rent out Nicollet Park for high school football games. And they can use the clubhouse! And at “a moderate rate”! (Not a modest rate. 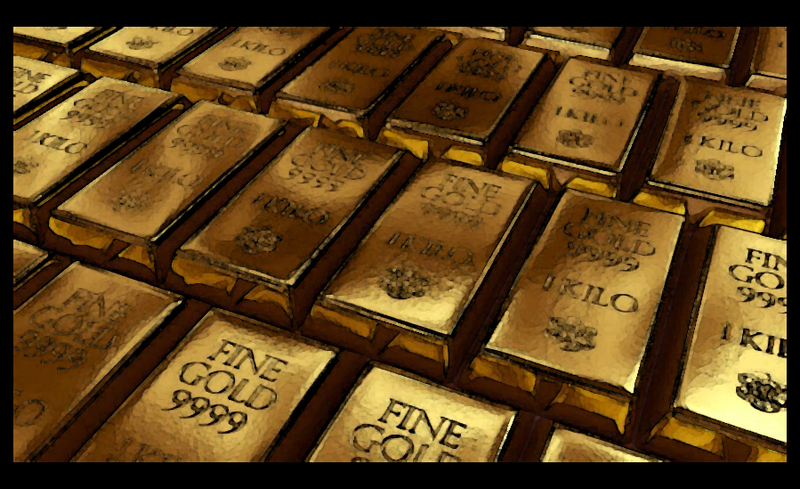 A moderate rate.) Last year the football teams used the North High field, where there was no protection from the elements before the game and during halftime. I’m sure they’ll enjoy using the clubhouse. Good move, Watty! Given the presence of a windpad artist like Roach, it looks like Maloney will wind up in the garden, with Sullivan and Lally; the reporter says that Maloney is “lightning fast in the field and on the sacks,” while Sullivan is “very fast.” Lally, remarkably, is “slow on the sacks” — he is apparently the only slow runner on the team – but he “covers a lot of ground in the garden” (perhaps he is very fat?) and is also a good stick man. The reporter closes, though, with a pretty enthusiastic summation on the Miller’s chances in ’04.